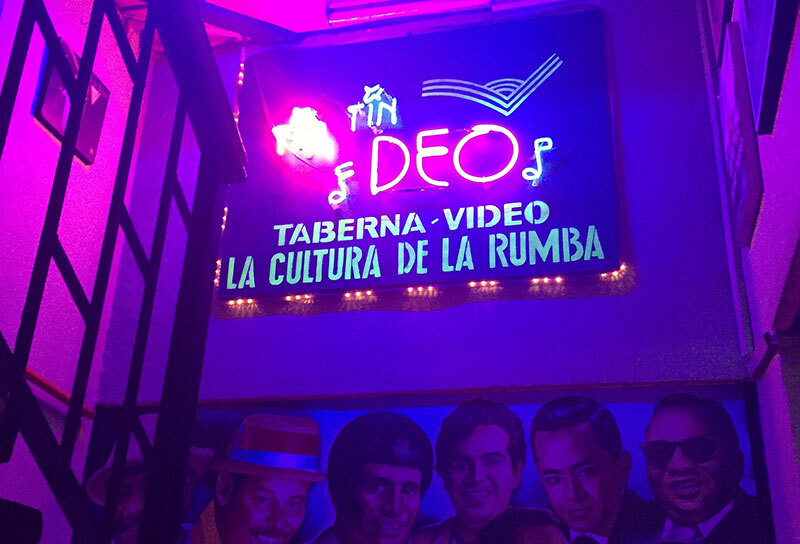 As you climb the stairs, bathed in blue and pink neon, to the historic salsa bar in Cali, Tin Tin Deo — you immediately get why this spot is famed as the city’s classic salsa joint. 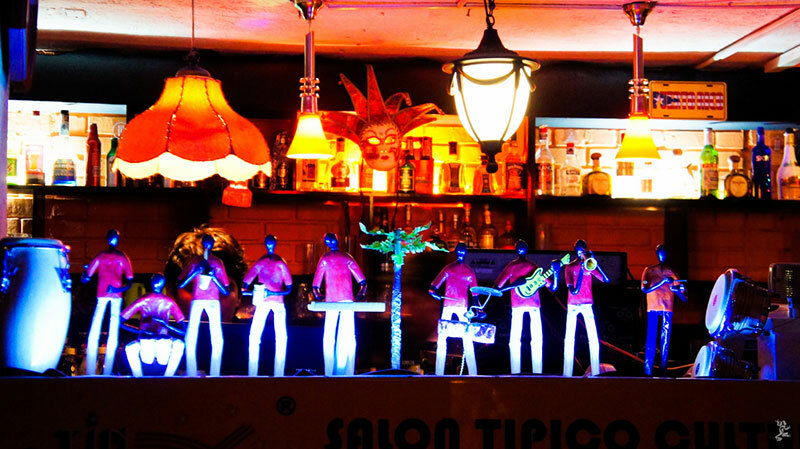 Presided over by retro posters and the soft glow of red lanterns, the bar has become a symbol of Cali salsa culture. For 30 years and running, salseros of all ages, levels, and nationalities have gathered here to groove until the wee hours. If you’re planning a trip to Cali, this salsa staple is not to be missed. Here’s what to expect. This salsa bar in Cali boasts a generously-sized dance floor, lined with old-school bar stools and booths angled towards the dancing. But you won’t want to spend much time sitting. With this high-energy crowd, you could easily show up solo and get down with dancers — of all levels — until closing time. No need to BYO (bring your own) dance partner here, or get hung up on your skill level. The scene is both diverse and beginner-friendly. When it comes to the style of dance and dress, Tin Tin Deo is decidedly choosing your own adventure. You’ll see elegant old couples dancing cheek-to-cheek, off-duty professional dancers breaking out rapid-fire Cali-style salsa, college students in ripped jeans grooving LA style, and everything in between. Expect a lot of Cali style, of course — but if LA or Cuban style is more your speed, you’ll likely to find your people here! Not something that can be said of many other salsa bars in Cali. Founded in 1985 by a group of students at Universidad del Valle, the salsa bar in Cali has long seen itself as a stronghold of old-school salsa and Cuban son. Named after a salsa classic by Larry and Andy Harlow, Tin Tin Deo is actually an onomatopoeia (who knew?). The words mimic the sound of drumming tambores in African rumba music. Classic Afro-Latino rhythms — the tambor, the clave, the tumbao — are still spun in the salsa bar to this day by one of the spot’s original DJs, James Polania. While Tin Tin Deo is a fervent defender of the classics — it also gets down with the new and experimental. If you’re lucky, you might catch a synchronized salsa choke line dance, a modern fusion of salsa and reggaeton. Never fear if you’re a salsa choke novice, the bar brings in a choreographer to lead the crowd in some fresh moves. The tradition of Tin Tin Deo goes beyond the music. In what you might call a salsa manifesto, this salsa bar in Cali gushes about its mission to bring people together through “camaraderie and good music, where all human languages are fused.” It’s all about crafting a culture of rumba (partying) that goes heavy on the dancing, and light on the boozing. Planning a trip to Cali? Come by Tin Tin Deo, the best salsa bar in Cali, Thurs-Sun. Friday is best, but you really can’t go wrong. Especially not if you brush up on your salsa, or try out some Cali style steps, with one of Salsa Classes Cali’s pro instructors. We hope to see you around! $$: Expect a 15k cover (for men), and 10k cover (ladies) — but you’ll get 10k back in drink credit at the salsa bar.